Software and systems development in industry typically focus on constructing high-quality products by using traditional or agile software processes and applying established tools and methods. Most projects have to handle more or less stable requirements but usually build on a proven architecture. On the other hand, research projects typically aim at investigating new ideas, facing promising research directions, showing feasibility of novel approaches or building prototypes for demonstration purposes. Obviously there seems to be a big gap between industrial projects and research projects. Anyway – after a period of research – there is the need to enable the transition from prototype to real products, comparable to industrial developed software products. The main challenge is bridging the gap between research prototypes and industry products, typically out of scope of a research project. As we have to handle these challenges in a long-running research project, this paper aims at identifying risks, challenges and candidate solutions to identify how to bridge the gap from research to industry. 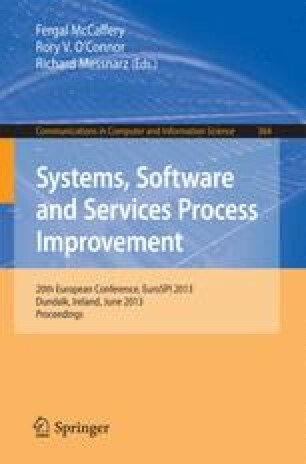 Main result of this paper is an adapted software engineering process that has been initially evaluated in context of our research project.